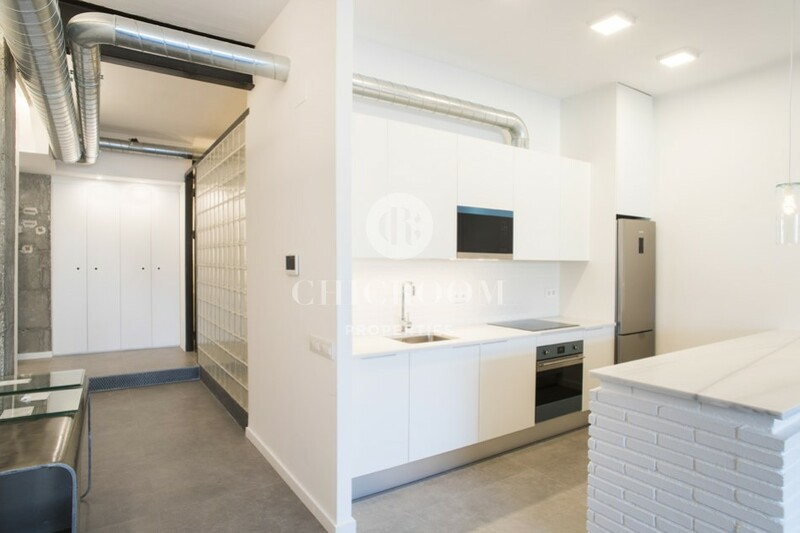 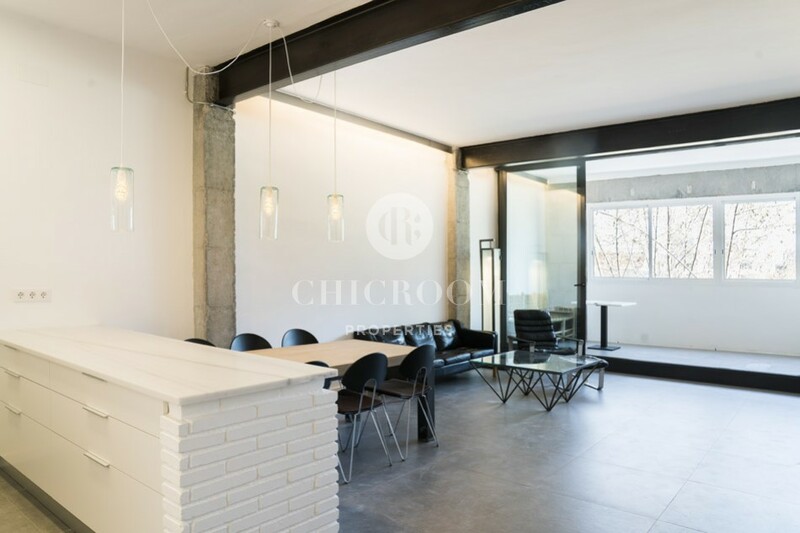 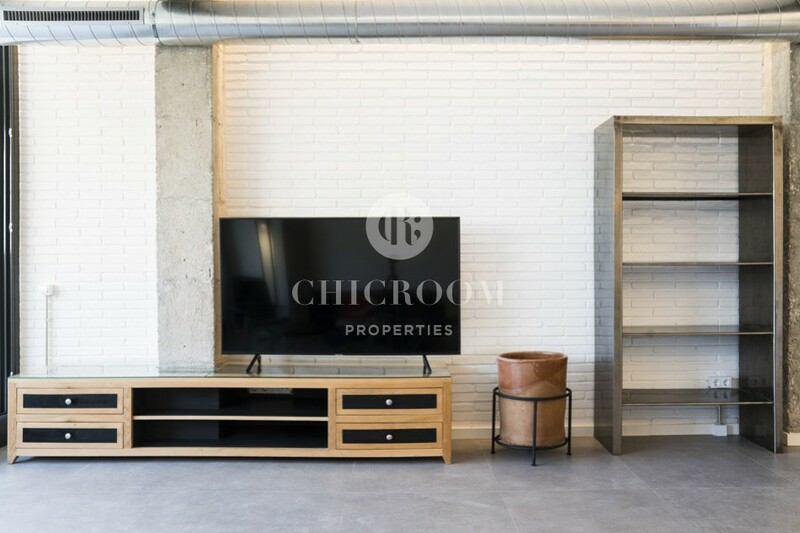 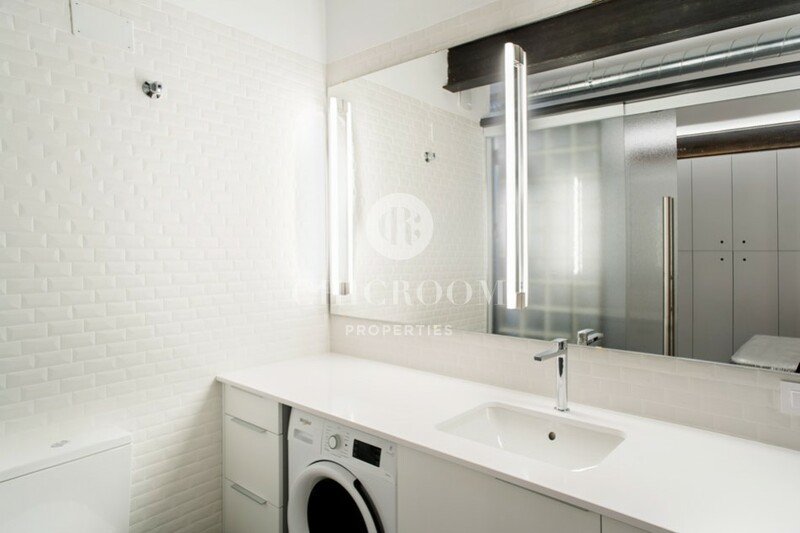 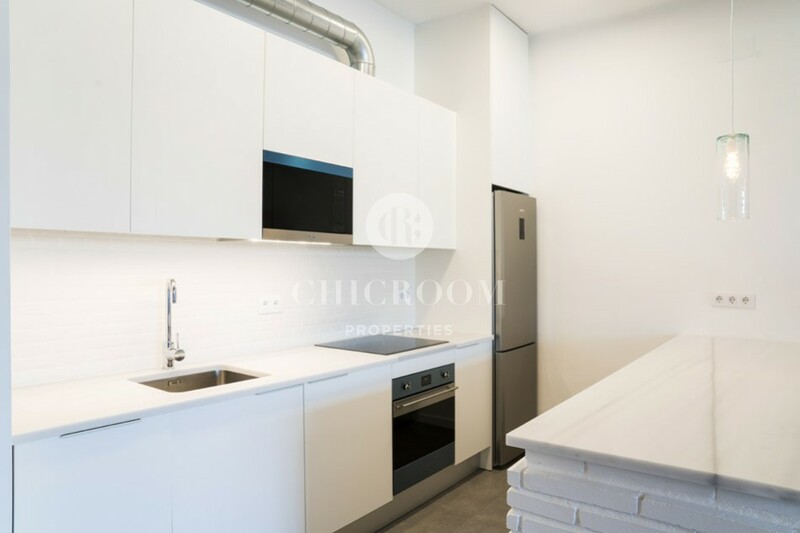 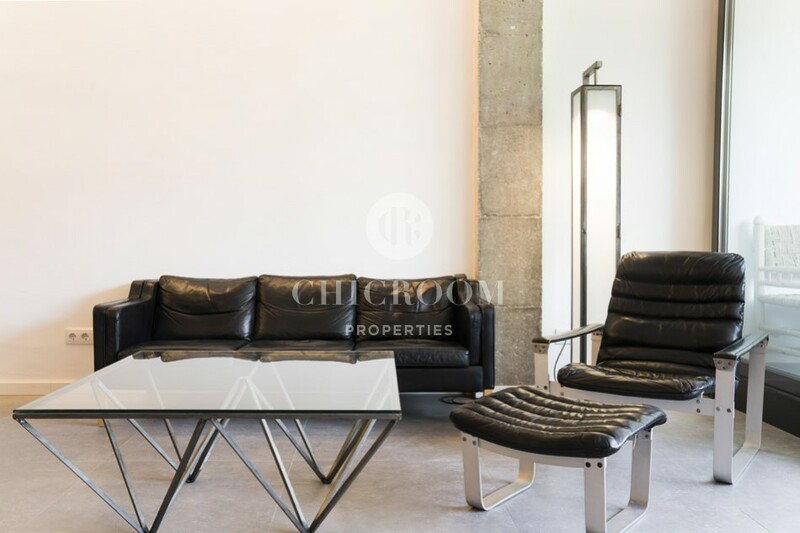 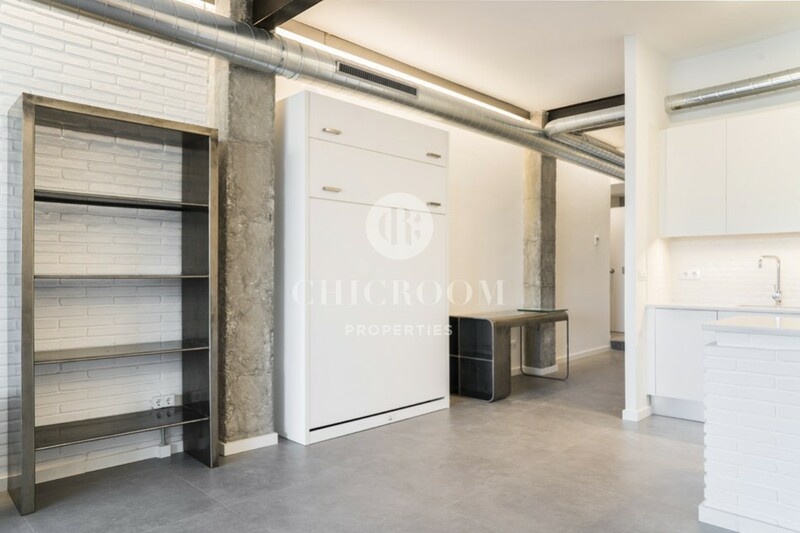 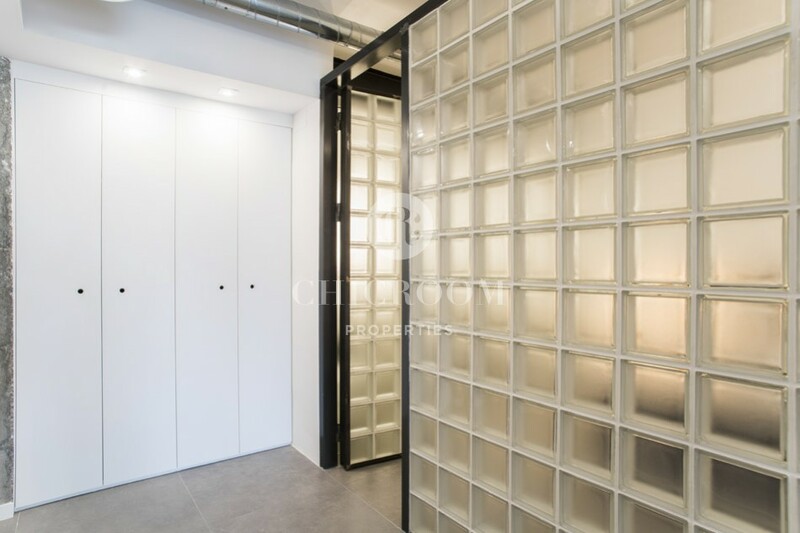 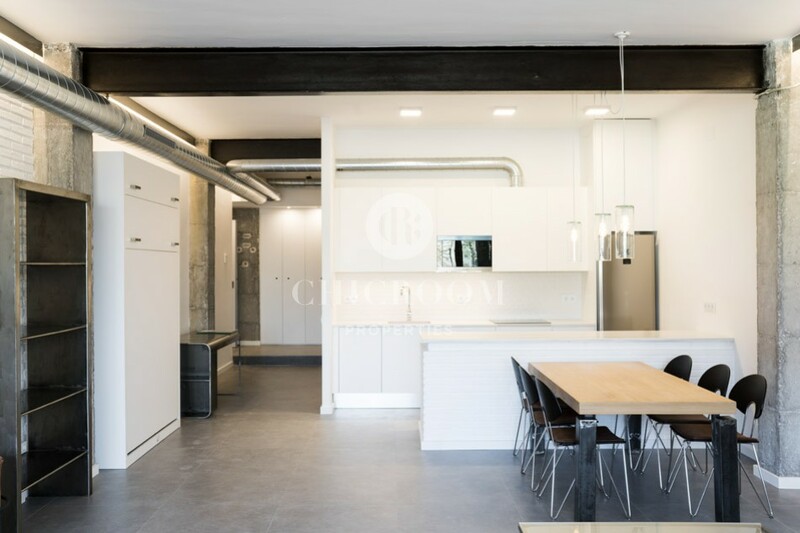 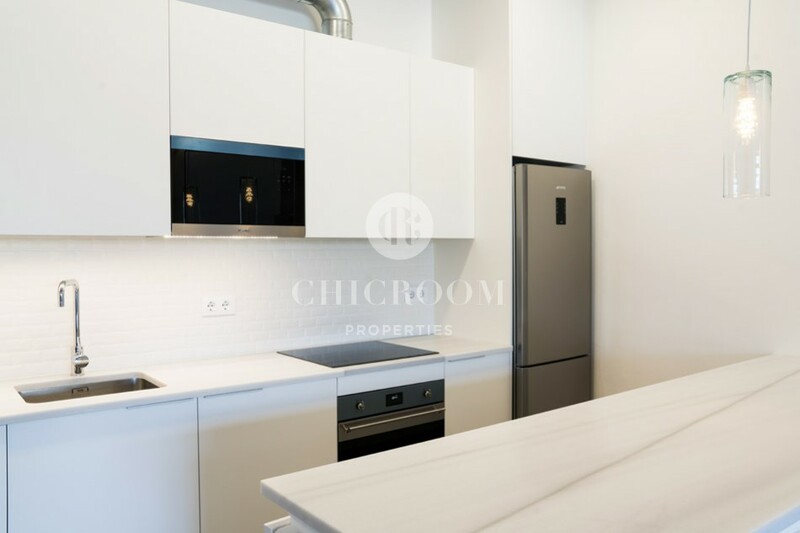 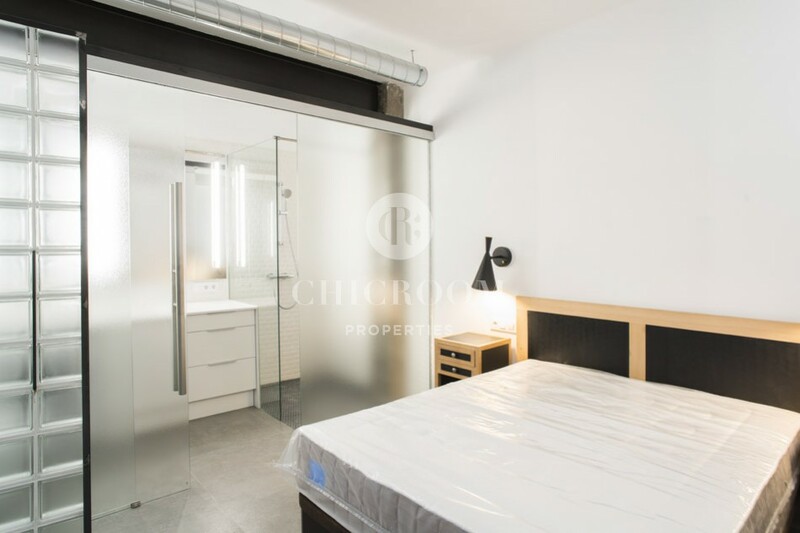 Very airy and spacious this 1-bedroom loft apartment for rent in Poblenou Barcelona allies an industrial character with a sophisticated and modern interior design. 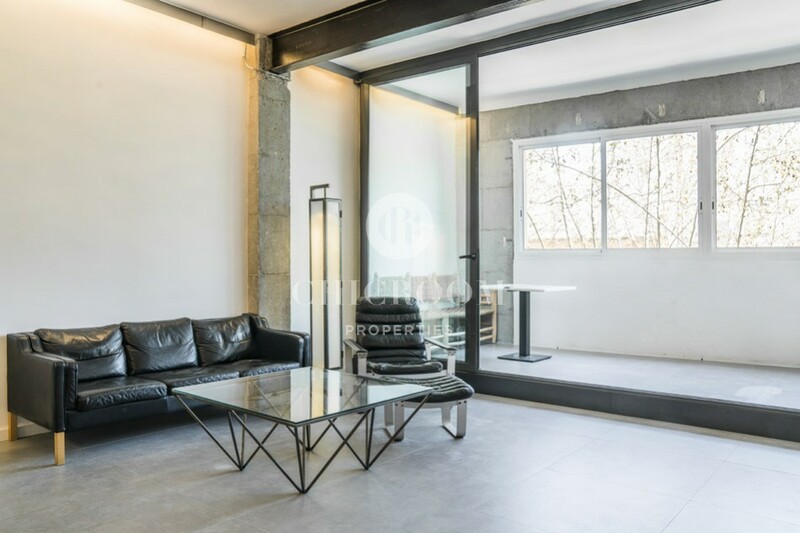 For that matter, the property is in harmony with the neighbourhood of Poblenou which is in complete rehabilitation. 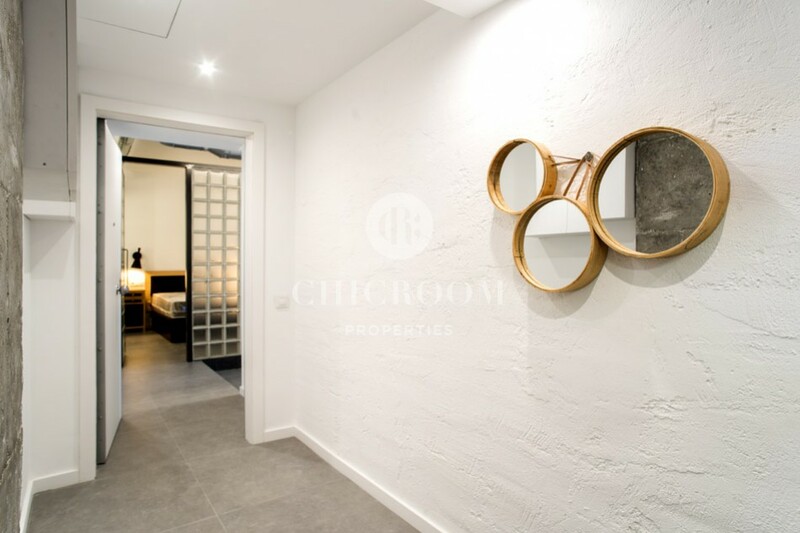 The blending of the various materials such as metal, wood, glass and ceramic elements offer a sumptuous dwelling to live in style for its new tenants. 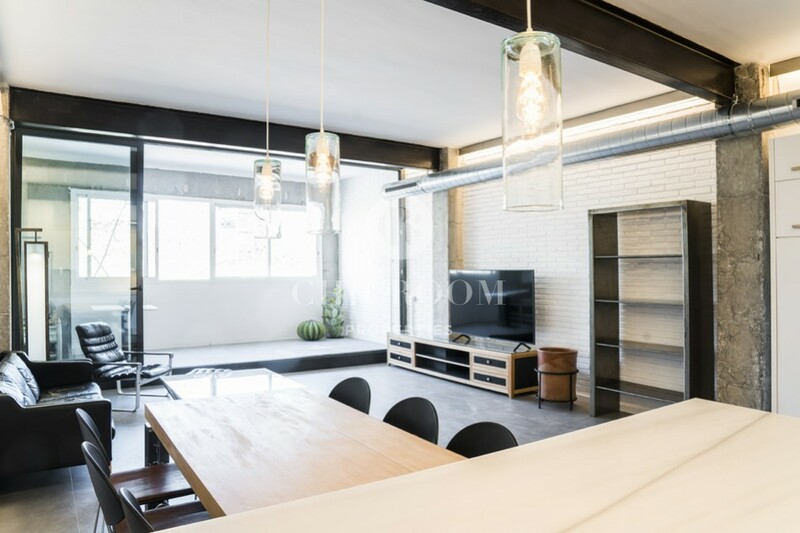 The exposed metal beams, bricks on the walls and conduit pipes are a reminder of the industrial past of the Poblenou district. 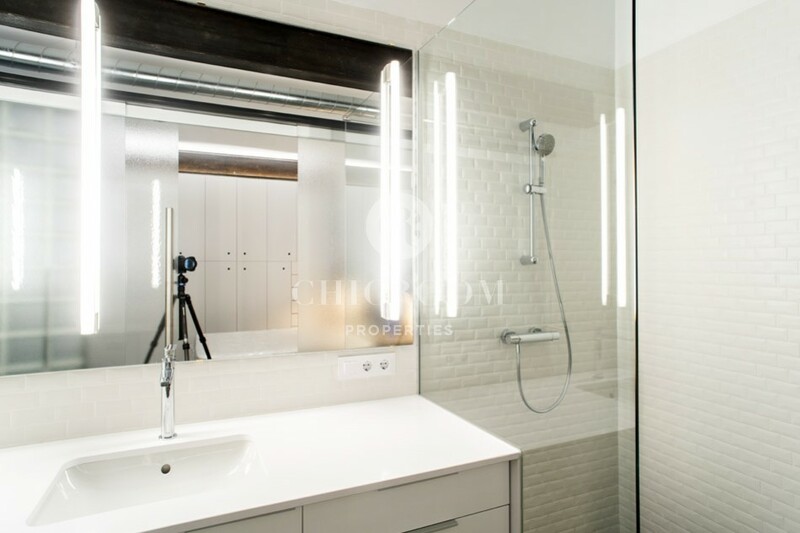 These features have been greatly integrated into the new modern interior decor. 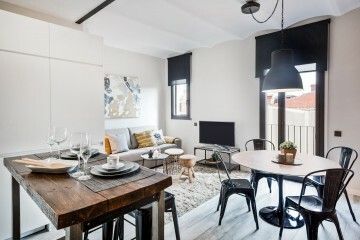 The apartment has a large living area divided into different parts and all connected to each other. 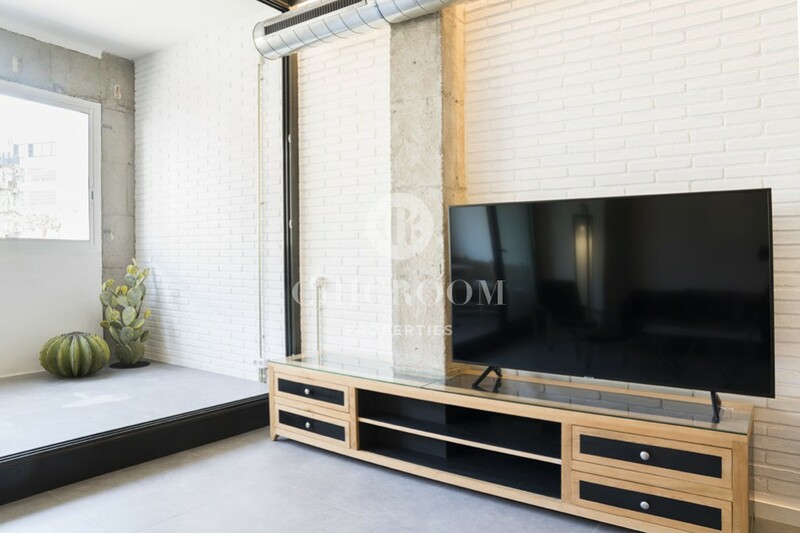 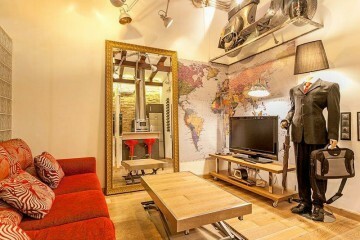 The living room comes with leather seats with metal armature and a glass table facing a flat-screen TV. 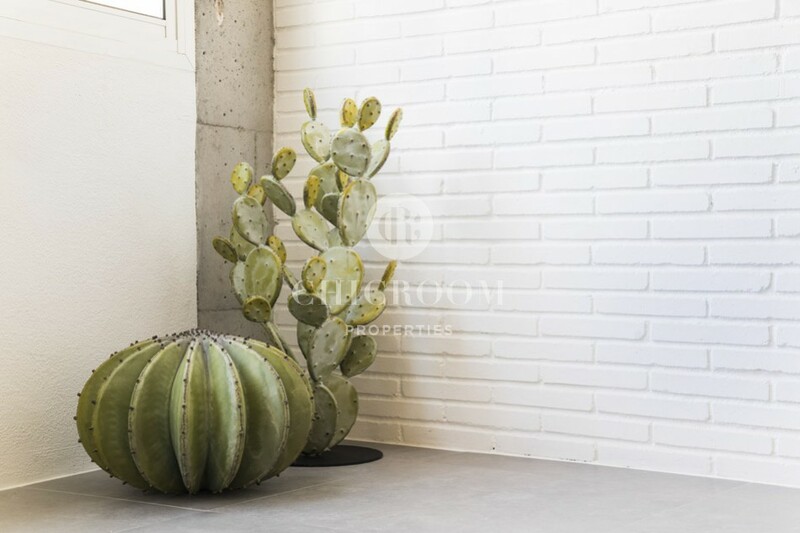 In order to increase the space, there is a conservatory separated by wide glass sliding doors. 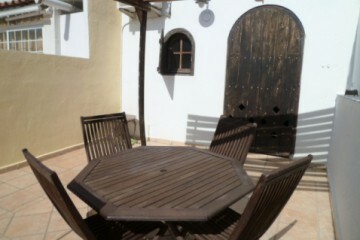 This could be turned into a chill out zone with plants, cushions and pouffes. 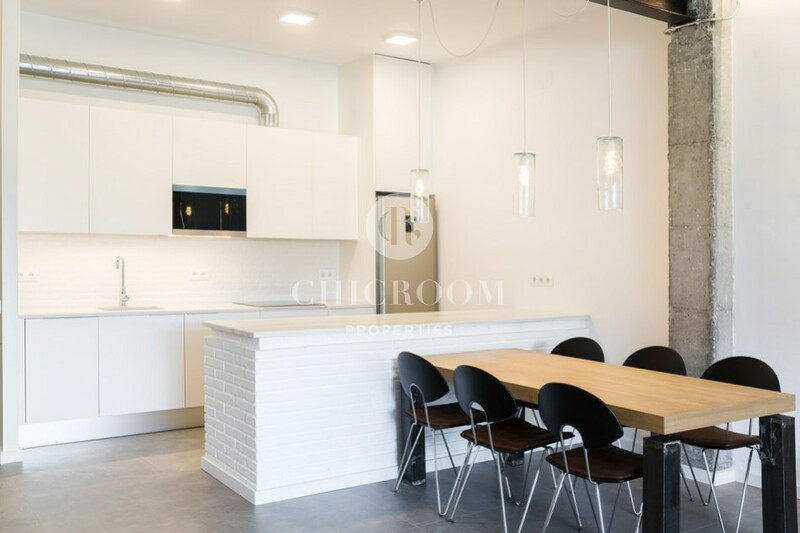 The dining area can accommodate up to six people around a long wooden table with a metal structure. 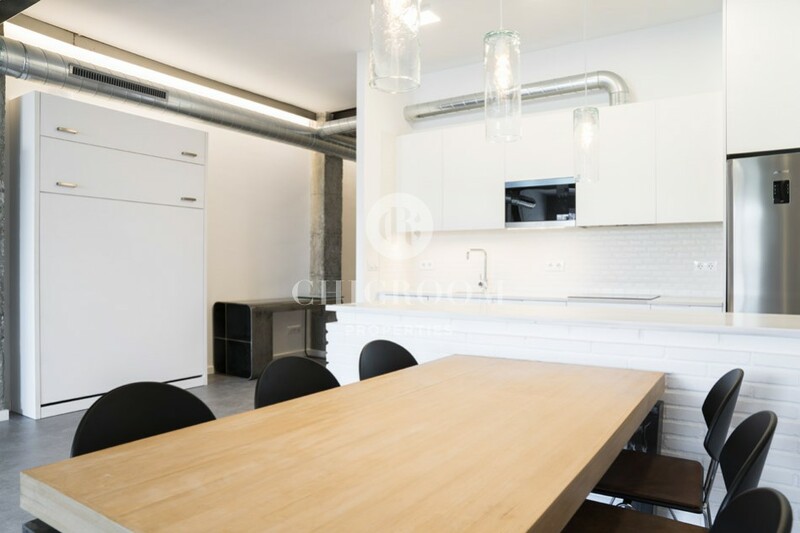 The semi-open kitchen is also attached to this room. 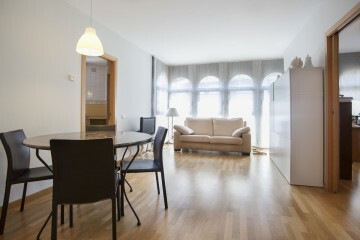 It comes fully equipped with premium household appliances, various cabinets and a wide counter for cooking. 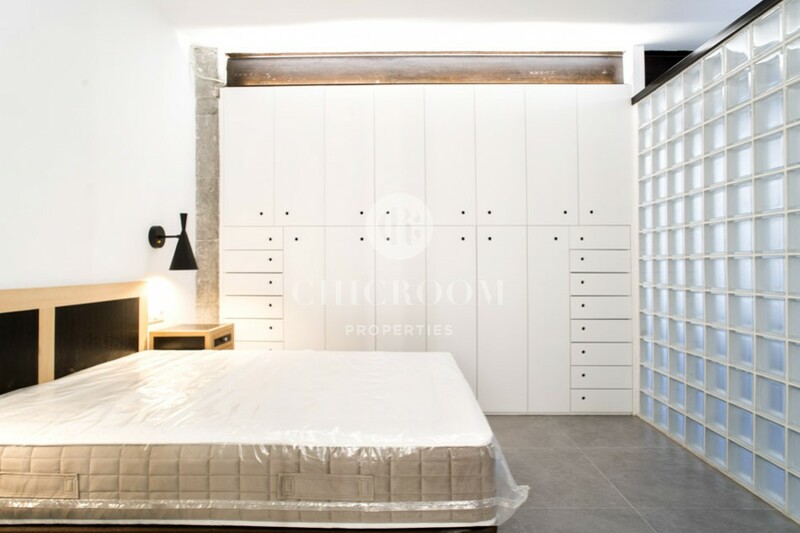 The bedroom is isolated by a glass bricks wall and door for enabling light to come in and the total privacy of its occupants. 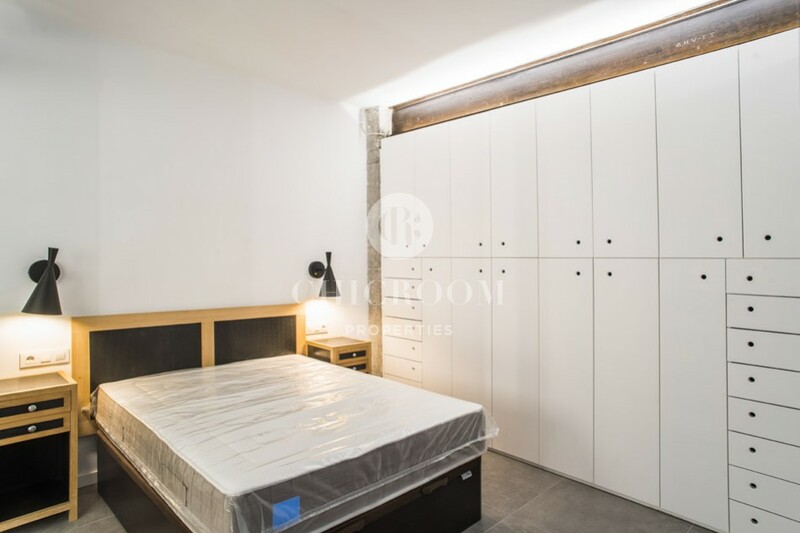 A large double bed with two bed table and a massive built-in wardrobe compose the decoration of the bedroom. 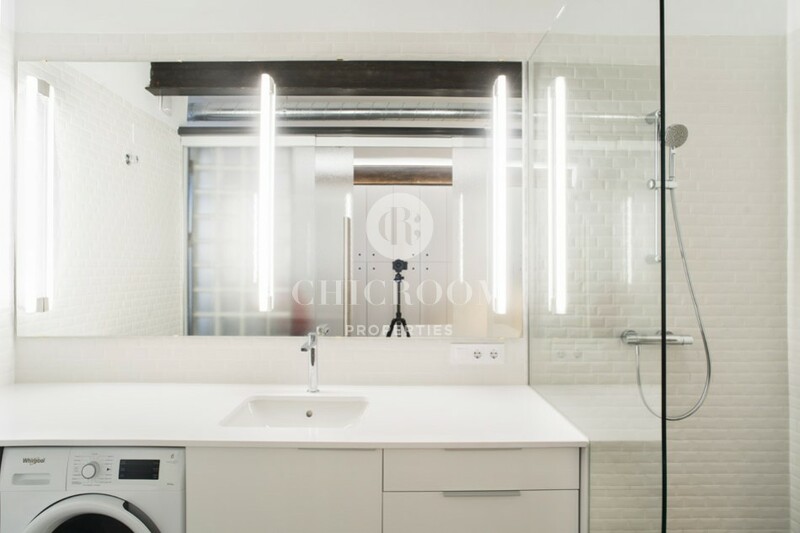 The en-suite bedroom is separated by a blurred glass wall and sliding door and comes with a shower cabin, a sink overlooked by a wide mirror with neons, a WC and a washing machine. 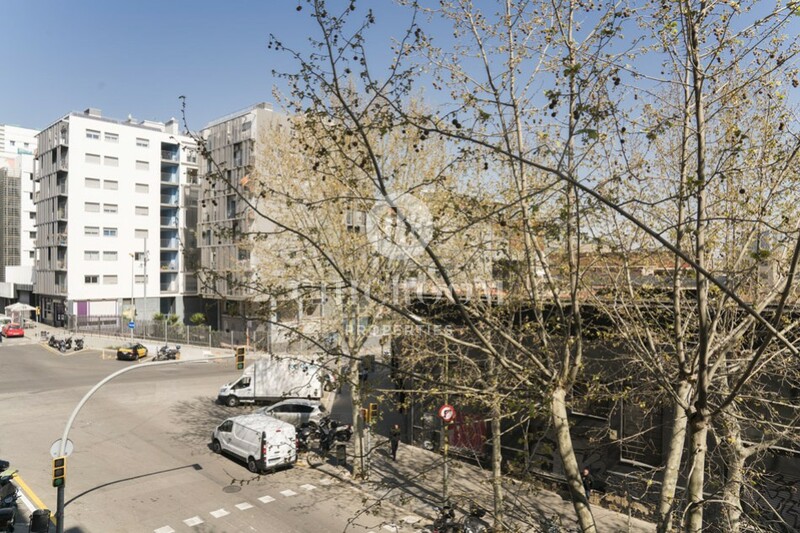 The neighbourhood of Poblenou is the new artistic and technology hub of Barcelona. 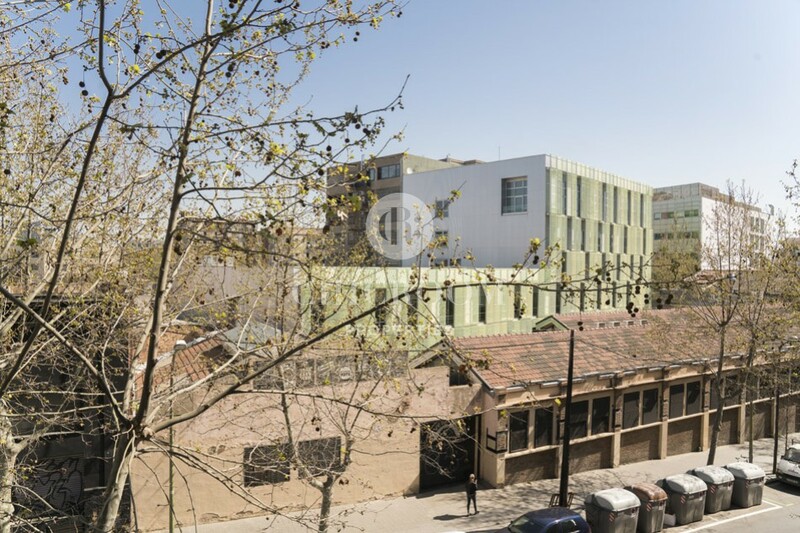 In constant reformation, the area enjoys the reminiscence of its industrial past with old factories turned into artistic workshops, modern buildings used as offices, trendy nightclubs, bars, shops and cafés together with original dwellings. 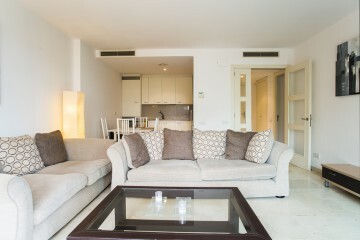 Another great argument for living there: the sea and the Port Olimpic are only 20 minutes away on foot from the loft! 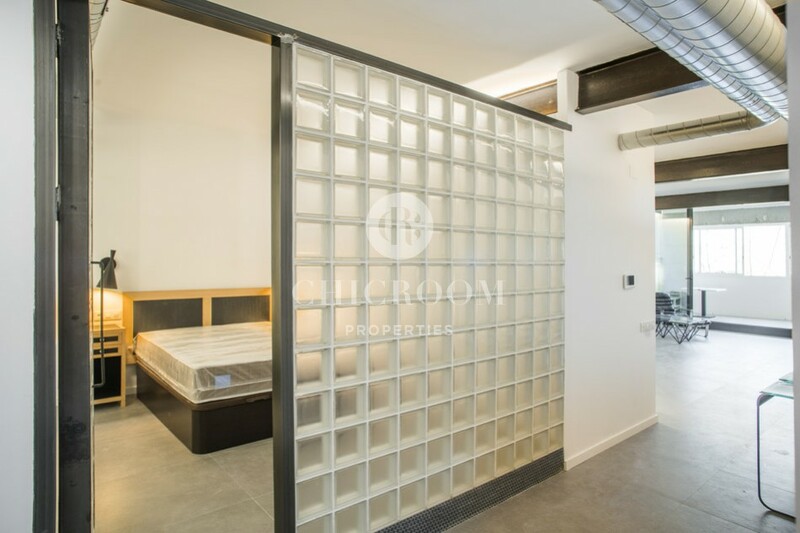 There are four lofts in total with different sizes and rental prices.